Most definitely! We believe our door-to-door service makes Wine Tours Victoria the most convenient choice for you. There’s no need for you to find a central pick-up location. We’ll come to your hotel if you are staying in a Melbourne CBD hotel or in most areas adjacent to the CBD. Arrangements for pick-ups at other hotels or locations can also be arranged, depending on location and the tour schedule for the day. And we’ll return you to your hotel, so you do not have to lug your cellar door purchases down crowded city streets. The normal pick up time is between 9am and 9:30am. What is the size of the tour? Our daily public tours are limited to 10 guests, as this provides a more personalised cellar door and tour experience. We do not offer any tour above 11 guests. What time will I return to my hotel? We normally drop our guests off at their Melbourne CBD hotels between 5pm and 5:30pm. Can you handle dietary restrictions or special request? All of our lunch venues are well equipped to handle most dietary restrictions (gluten free, vegetarian dishes, etc.) and special request, though it is best to give us 24-48 hours advance notice to make arrangements for you. We highly recommend that you bring a camera to capture the memories from your great day spent in the vineyards and cellar doors of Victoria. And, for those who like to record their tasting notes, a small notebook and pen will be handy. Comfortable and casual. Of course, since you’ll be visiting areas known for their cool climate wines, long pants and comfortable walking shoes may be more suitable than shorts and sandals. Also, since the weather is prone to change throughout the day, a layered approach often works best. Are your wine tours available every day? Yes, we operate wine tours every day of the year except Christmas Day. We never let the weather affect the enjoyment of a good wine tour. Rain showers rarely last for long, and even when they do we simply spend more time inside the wineries and cellar doors than outside. And, of course, on the bright sunny days we give you a chance to spend more time enjoying the beauty of Victoria’s wine country. 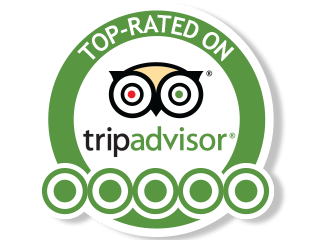 The easiest way to book a tour is through our safe and secure online booking system. Alternatively, you can book over the phone during business hours by calling 1800 946 386 or via email to [email protected] (be sure to include your phone contact details when booking via email). Can I make cellar door purchases while on tour? Of course you can. In fact, cellar door purchases are one of the most rewarding aspects of a wine tour as you will often be able to purchase wines that are only available at the wineries. Another highlight is that wineries will often have special offers available at their cellar doors, meaning you’re likely to come away with some great deals as well. Also, many of the wineries you will visit can arrange to ship your purchases domestically or internationally directly to your home. Is drinking allowed onboard the van? As it is illegal in Victoria to consume alcohol in a moving vehicle we cannot allow alcohol to be consumed in our vehicles. Your tour fee includes morning tea, a memorable lunch at a winery or other historical venue, and all cellar door tasting fees. What if I want to do something in addition to cellar door visits and winery tours? We are most happy to accommodate requests from guests as long as these are acceptable to your fellow guests. There are numerous opportunities to include gourmet produce, gardens, galleries, and even local markets in each of the wine regions we visit. If you have some specific requests, you may want to discuss arranging a private wine tour with us. Also, our Exclusive Tours and Experiences options include a wide range of activities such as Healesville Sanctuary (Wine & Wildlife Tour), and equestrian training facilities (Thoroughbred Stud Tour). Do you only operate one-day tours? No. We also have the two-day Yarra Valley Winery Experience Tour, which features visits to a combination of small and large wineries, two winery luncheons, overnight accommodation in a four-star Bed & Breakfast, two-course dinner with a complimentary bottle of wine, breakfast, and a visit to Healesville Sanctuary. Additionally, our two-day Romantic Vineyard Escape Tour is a great mid-week or weekend break for couples. This private food and wine tour includes winery visits in both Yarra Valley and Macedon Ranges, two lunches, overnight accommodation in a four-star Bed & Breakfast, two-course dinner with complimentary bottle of wine, and breakfast. What other regions can be visited besides Melbourne’s “big four”? Do you do private tours for individuals and couples? We certainly do. In addition to our two-day Romantic Vineyard Escape Tour for couples, we can provide a customised private wine tour to any of Melbourne’s four nearby wine regions. To discuss your requirements and desires, please contact us during business hours at 1800 946 386. What kind of private group tours do you do? All kinds — corporate events and retreats, team building trips, club events, family outings, staff celebrations, birthday parties, pre-wedding celebration, anniversaries, and other special occasions. We will happily create a special day just for you and your group to any of Melbourne’s four major wine growing regions — Yarra Valley, Mornington Peninsula, Macedon Ranges and Bellarine Peninsula. We will customise your tour to include the wineries most suited for your group and arrange a winery luncheon that caters to your budget. Morning coffee and tea at a scenic spot can also be included. For more details, see our Private Group Winery Tours page. Or better still, please call us during business hours at 1800 946 386 to discuss options, dates, and possible itineraries. Payments for online bookings can be made with either Mastercard or Visa. For telephone bookings, we accept credit cards and cash payments. Or, direct payment to our bank account can be arranged if you would prefer. Will I get a refund if I have to cancel? Yes, though we do require a minimum of 24 hours notice of a cancellation for a refund. Can I buy a wine tour gift certificate or voucher? Yes.  In fact, a Wine Tours Victoria Gift Certificate is a special gift that will be appreciated for years to come. Our gift vouchers are valid for 6-12 months, depending on time of purchase and can be used on any of our daily winery tours to Yarra Valley, Macedon Ranges, Mornington Peninsula, or the Bellarine Geelong wine region.